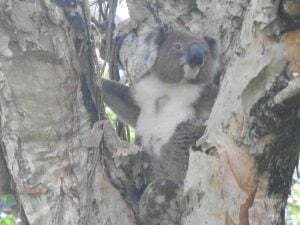 It is not only humans that get knocked around by magpies in the nesting season. 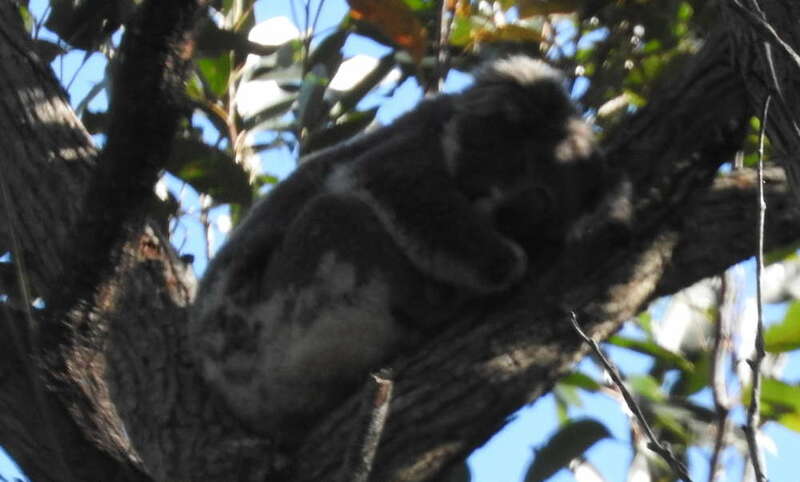 On a recent walk around the Tilligerry Habitat we found a koala had settled in a tree a bit too close to where a butcherbird was building a nest. He came under attack from a bird who typically are very determined to keep other animals at bay.